Sledgehammer have confirmed that "The Frozen Dawn" will be the final zombies map for COD WW2. This map concludes the zombies series produced by Sledgehammer as we await the imminent arrival of Black Ops 4 from Treyarch. In this new map, the zombies crew (Olivia, Jefferson, Drostan and Marie) have crash landed in Antarctica and must descend and navigate their way through the Lost City of Thule. The map begins from the burning wreckage of the airship but the crew quickly discover an underworld maze filled with frozen subterranean tunnels and candlelit chambers. Sledgehammer describe the map as the "most maddening, twisted, multi-leveled Nazi Zombies map ever". 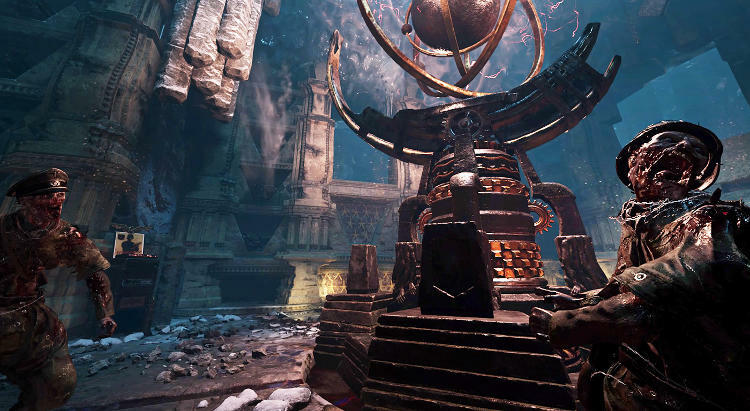 Expect to see complex tunnel systems and vertical complexities in this chilling final DLC 4 experience. With those navigational obstacles against you, you'd expect some sort of compensation right? Well, Sledgehammer have done just that and for this map players get to experience new Weapon Upgrades and Consumables. As a starter, ALL LMGs automatically come with the Ubersprengen treatment and each LMG has its own unique upgrade. As with all other Sledgehammer zombie maps, there's a final BOSS to beat and at least an Easter Egg cutscene to unlock in The Frozen Dawn. 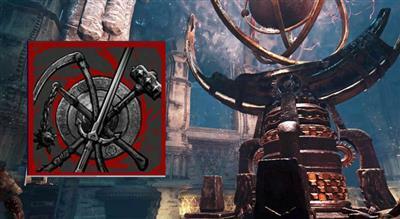 Maybe, just maybe, the possibility of a cross map Super Easter Egg too. Time will tell of course, but this is Sledgehammer's chance to finish off their year with a bang! The DLC 4 map pack, "Shadow War", is available to download on the 28th August, first on PS4 and a month later on Xbox and PC. Please note - I will not be following the Easter Egg hunt for this map due to the lack of interest in WW2 zombies. I will however be covering Treyarch's Black Ops 4 game this October, with detailed guides on everything from Wonder Weapons to hidden secrets and of course the Easter Egg's.